You tell us your symptoms and the location where you would like treatment. We have physicians within the Leesburg area. We analyze our directory of independent medical providers within the Leesburg to find one that can treat your specific symptoms in a location convenient for you. We’ll schedule you for a prioritized appointment. MedDesk is the best provider of medical scheduling services within the Leesburg area. We are an independent service with no ownership interest in any clinic we recommend. We have a growing list of medical providers within the Leesburg area. It’s free, fast and convenient. Submit our contact form or give us a call. 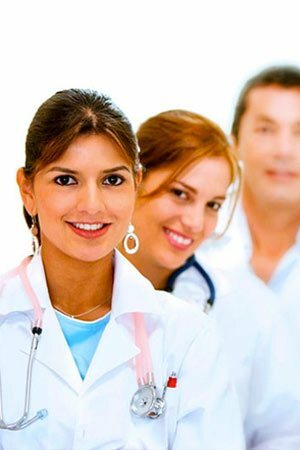 All medical professionals are in good standing in their field with verified credentials. Interested In Joining Our Medical Network? If you are a licensed, qualified medical provider in the Leesburg area, with experience treating accident victims or other soft tissue injuries and would like to join our network, let us explain how we bring qualified patients to your practice. Get the medical care and funding when and where you need it. Our team has the expertise and experience serving clients such as yourself. MedDesk seeks to provide effective and innovative solutions for individuals involved in personal injury accidents and for the attorneys and medical professionals that provide services to them.